I don't often put photos of other family members here. But these are worth sharing. 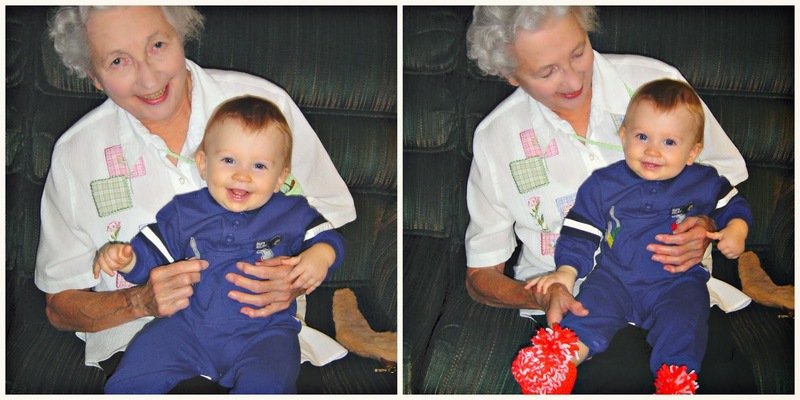 Even though my kids were young and we lived miles and miles apart, it's nice to know they did get to meet their great-grandma on my side (and their dad's side!) I'm glad I took these photos. It's a great reminder to get photos of kids with their grandparents and great-grandparents when we get the chance. Even just a casual snapshot is better than no shot. 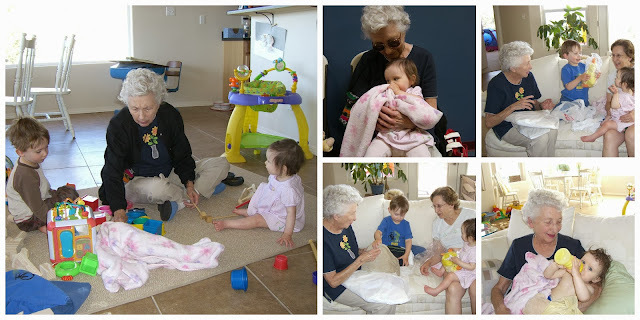 I especially love the one of great-grandma down on the floor playing with the great-grandkids!